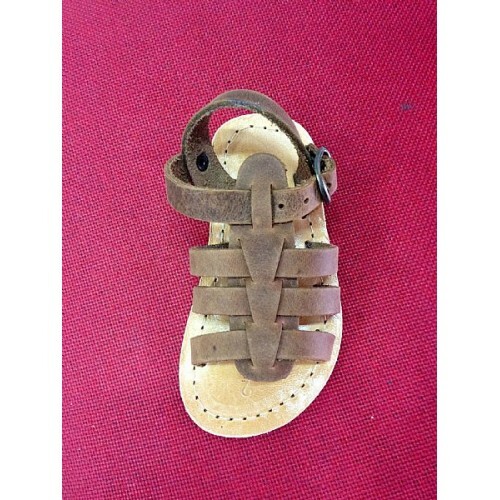 This Is the Classic Gladiator Sandal, Shrunken in size and made softer for tiny feet, It is an excellent choice for little ones as it is very difficult for tiny hands to remove or tiny feet to wriggle out of. Available up to size 34 for bigger kids. 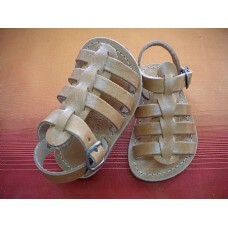 in natural and oiled leather.